The existence of Leeza’s Place is immensely helpful. In a time where family members and friends of families are increasingly facing the act of caring for a loved one or friend, having a source for support, guidance and even a shoulder to lean on, is not only helpful, but needed. 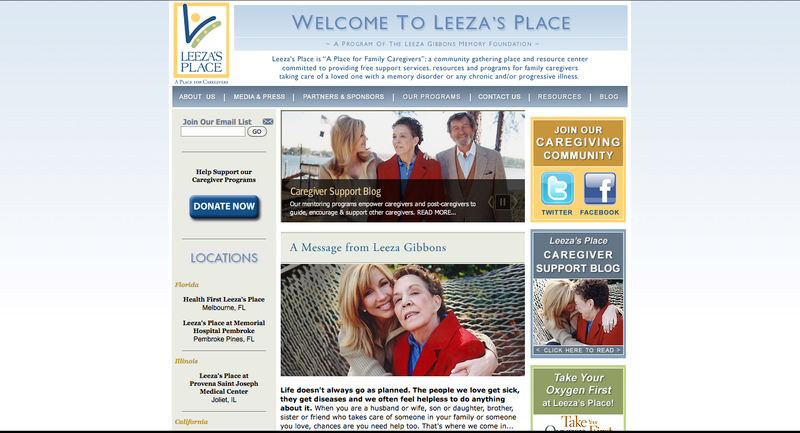 Leeza’s Place, and parent The Leeza Gibbons Memory Foundation, were inspired by events in Leeza’s own life. After her mother was diagnosed with Alzheimer’s, Leeza made her a promise to tell the world her story and the story of how the family banded together to become her caregivers. There is so much information on the organization’s website and it is a great go-to for anyone who finds themselves in a caregiver position, or knows of someone who needs help with this role.